Oh, I am really liking it. It's one of those covers I can keep looking at. I love how it is the same cover scheme as the Aussie cover. I love how it is arty (Graffiti Moon is such an arty book, you guys). What do you guys think? I am rather fond of it. It is so wintery (a little bit Narnia-esque, LOL). It pulls me in. It feels a bit mysterious, the girl seems sad, bereft, even. It's a midgen whimsical. I think the white on the shelves will stand out. Overall, I am liking the atmosphere of the book. In other news I HAVE READ THE BOOK (thanks netgalley!) I will review soon in full. It has been so very well received so far, and I really (really) enjoyed it. I liked Christian a lot in #2. Also, it was a very sad book, in so many ways. What do you think of the Aussie covers for this series? 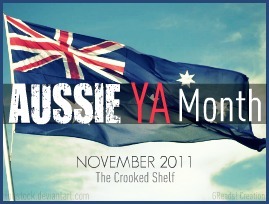 Four: Did you guys know about Aussie YA Month over at The Crooked Shelf? I just finished reading her latest book Froi of the Exiles. (Book Two of the Lumatere Chronicles). It was especially fun as I had a read-along with one of my fave readerly people, Flannery. We chatted in a google document (sometimes live, which is so. much. fun.) and other times updating our progress as we went chapter by chapter. We raved and speculated and tried to predict what was going to happen (being an MM novel, you know anything could happen). We are both doing a bit of Nanowrimo this month and would love to count our Froi document towards it as our total word count for our Froi discussion was... 23, 462 (which is nearly half of the nano requirement). Good, good times. Winner of the SILVER INKY for most popular international titel is Cassandra Clare's 'Clockwork Angel. The inkys are Australia's only YA awards voted for exclusively by teenagers :) More about the inkys on inkcrush :) For the Gold INKY, I had read all of the shot-list, except Silvermay ~ which I am SO hoping my library will add to ther catalogue soon, as I am very keen to read it (James Moloney is an Aussie YA author I grew up reading, and he is still going strong). The Gorgon in The Gully is Melina Marchetta's 2010 debut for middle readers. I bought this book for me my boys, Sam and Reuben. 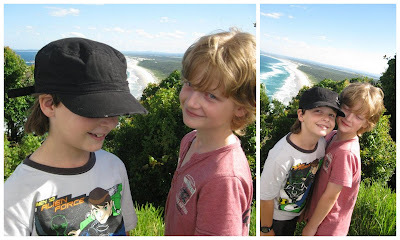 Danny Griggs, our protagonist, is in grade 4 and he's an Australian boy, so right from the start my boys related. Even though it is perfect independent reading level for both Sam and Reubs, this is one we saved for me reading out loud to them at bedtime. We read this a couple of months back (I am perpetually behind in talking about books ;)) but Reuben is currently rereading it in quiet reading time at school, which reminded me to come and chat on here about it. Sam: The Gorgon in the Gully is awesome and funny. I hope a sequel comes out because I would like to read it. My favourite character was Jonah Griggs because he was a cool big brother and he buys Danny stuff off ebay. My favourite part was the end because I didn't know what was going to happen. Reuben: I reckon it's pretty funny how it actually says what a Gorgon is on the internet. Even though they probably don't even exist. I like it how they thought it was a real Gorgon in the gully but ... [had to edit him out, a tiny bit spoilery!]. I like how they were always making strategies and planning things. Akbar was funny but my favourite character is Danny because he is the one who is brave enough to go down in the gully even though he is scared of a lot of stuff. 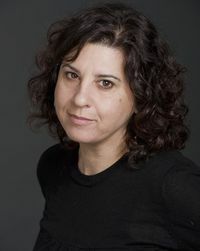 From me: The Gorgon in The Gully is classic Melina Marchetta. It's not only charming, funny and intriguing but it is full of of heart. I love how Marchetta brings a cast of characters together. She has a gift for taking random, at-odds characters and creating community. Not only community amongst her characters, but they come to life for me as a reader and I feel like I belong in the community too. I love her dialogue, which bounces off each character so well. Above all, the characters are so endearing.. It's a brave and smiley story, I think it would charm any child. It's especially perfect for boys, I am amazed (although I shouldn't be) just how Marchetta writes as if she is inside a ten year old boys head. Danny was captivating, what a charmer! (He is going to be a heart breaker when he grows up). As for reading it to my kids: They loved it (one more chapter, Mum!). They laughed out loud. So. Much. (particularly Reuben, he kept laughing at lines that I didn't think were supposed to be funny, LOL.) They loved the culture references, from Indiana Jones to Beast Quest, and the inclusion of cricket and soccer and playground antics. It oozes Aussieness from the reference (meat pies) to the way the kids hack out on each other to show affection. The humour builds right through to the climax, with running jokes and clever motifs. It was fun to read out-loud (I owned Akbar's Mum;s Indian accent ;)) and it was so awesome to read word-for-word Aussie slang/terms the whole way through (often when I read imported MG, I switch words like cafeteria to canteen, etc). Danny waited for his brother Jonah to ring. Jonah was at a camp out bush for the next six weeks. There wasn't much phone coverage where Jonah was, but Danny's brother managed to find a spot every night to call. No matter what. Oh, I got very nostalgic for Jellicoe while reading this book. The above quote just about broke my heart (as I swooned a little) thinking about Jonah and Taylor again. As for Jonah as a big brother, he is fiercely protective towards Danny, cheering the little guy on. I loved seeing Jonah from Danny's perspective, his hero, tough and smart and pretty much invincible. I was also very touched by the conversation between Jonah and Danny on pages 97 - 100. 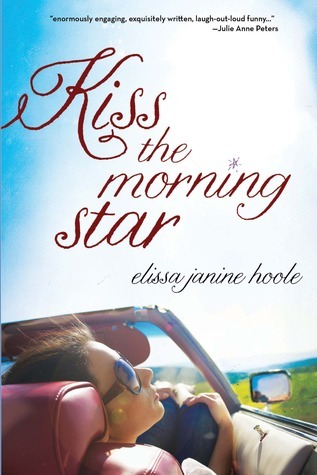 Any fan of Melina Marchetta (or Jonah Griggs) would love this book. My local didn't have it (we have the tiniest book shop here), I purchased my copy from The Nile ($7.99 + free shipping) or see a full list of where to buy online @ Booko. Giveaway: This one is a little hard to get internationally (sorry, guys) so I would love to give away a copy. I know Marchetta fans will be dying to get their hands on this charming little Aussie book. The blurb: Vee Bell is certain of one irrefutable truth—her sister’s friend Sophie didn’t kill herself. She was murdered. 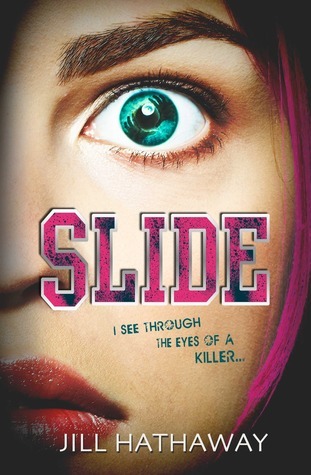 Me, chatting it up: Slide is a refreshing, energetic YA debut for fans of Veronica Mars. 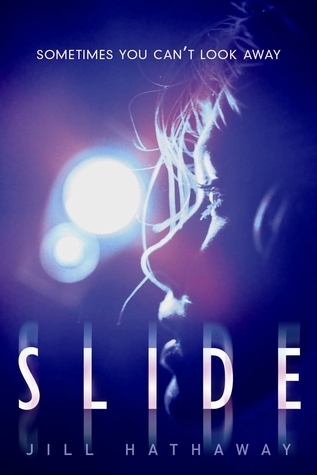 Sylvia (Vee) can slide into other people bodies, bearing witness to what they are doing, but having no sway over them. It’s pretty much a perfect premise for a sleuthing novel as Vee can sleuth her way around people minds (helping progress the plot forward with conveniently witnessed scenes). She is my sister and my exact opposite in every way. If she’s the pink glitter on your valentine, I’m the black sharpie you use to draw mustaches on the teachers in your yearbook. It’s pretty much a mystery story and the plot is expertly woven. The stakes continually rise (as does the body count). The red herrings are plentiful and really make for a page-turner. Set in a high school, type-casting* is initially used to set the scene, yet Hathaway (mostly) pushes past cliches to give all her characters depth, which I really admired. The climax is everything you’d expect a climax to be in this genre: secrets are unveiled, past and present tragedies collide. I can see why it has already been optioned as it has all the drama and intrigue (and originality) to play out gorgeously on the big screen. It would make a fun high school flick, hey. As for the Big Reveal... nicely done. I guess I saw it coming when I was supposed to see it coming (?) and it was sufficiently daytime drama to give thrills but not overly melodramatic, still matching the tone of the rest of the book. I am not usually a huge fan of YA stories featuring cheerleaders, arrogant jocks, high school cliques and all the petty/vicious girl-warfare that goes down. But in Slide it was fun looking on. Vee is an ex-cheerleader and far removed from the scene (thankfully), it is through other peoples eyes that we get involved. Vee herself is a blend of gorgeously achey, pragmatic and funky. Her best friend Rollins is so much fun, a little bit enigmatic and a lot crush-worthy (hey, I am a fan). It’s a fun story, dramatic in parts and sad in others. It also has patches of heart (particularly in regards to relationships: Vee and her sister, Vee and her best friend, Rollins (LOVED Rollins), and Vee and her father ~ (he is a broken man and their relationship is tenderly handled). Then I climb into bed and wrap my arms around her, pretending we’re stranded in Antarctica and I have to use my body heat to keep her alive. Recommended : I read this through in the space of 24 hours. I grinned a lot (some of Vee’s narration is so likeable) and had a relaxed time reading it. This is a book for fans of YA mystery, Veronica Mars, high school stories and for those wanting an addictive story with a lot of energy in it. In terms of genre, it has the (paranormal?) premise, but it reads like a contemporary novel.